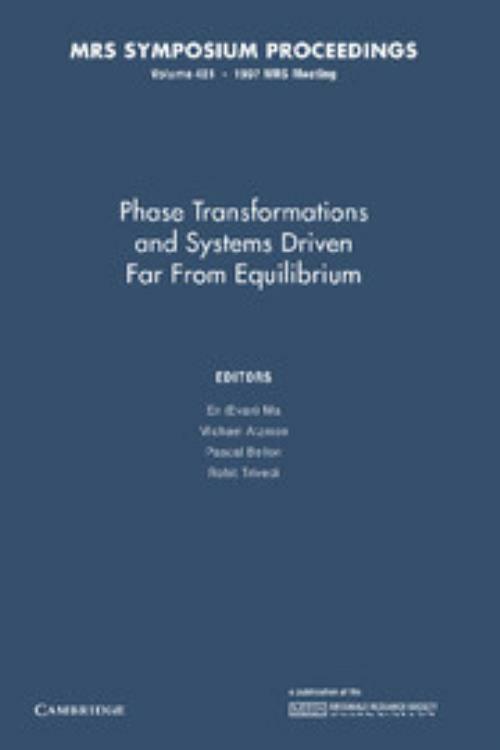 While this book from the Materials Research Society follows the tradition of previous volumes on the fundamental topic of phase transformations, this year the emphasis is on materials driven far from equilibrium. The central theme of the majority of the work presented is geared to the understanding of the thermodynamics and kinetics of phase transformations, with significant coverage of metastable materials and externally forced transformations driven, for example, by energy beams or mechanical deformation. Experimental, theoretical and computational approaches are outlined. Topics include: solidification theory and experiments; nucleation; solid-state transformations and microstructural evolution; beam-induced transformations; amorphous solids; interfacial and thin-film transformations and nanophase and mechanical alloying. En Ma Louisiana State University. Michael Atzmon University of Michigan, Ann Arbor. Pascal Bellon University of Illinois, Urbana-Champaign. Rohit Trivedi Ames Laboratory of US Department of Energy, Iowa State University.